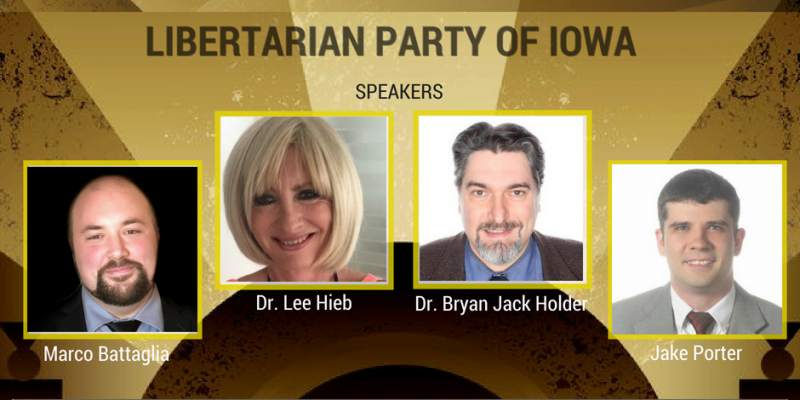 This weekend the Libertarian Party of Iowa will co-host the first annual Omaha Roads to Freedom UnConvention. *Dr. Bryan Jack Holder, libertarian constitutionist, and citizen journalist running for Congress for the third time. *Jake Porter, business consultant, and longtime Libertarian Party member, candidate for Iowa Secretary of State in 2010 and 2014. Porter is currently running in a contested primary for governor against Battaglia.